When your learning audience is dispersed or you need to deliver essential reinforcement and skill practice sessions from a distance, virtual training brings the learning to them. 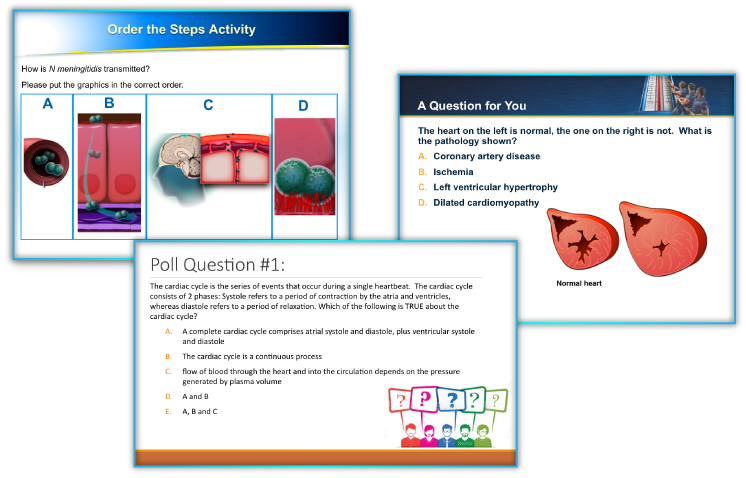 Our virtual training sessions are engaging, interactive learning experiences. They allow learners to follow up on and reinforce their knowledge, apply and practice their skills, and discuss any questions they might have—all in an interactive, instructor-led session. Contact us to explore how virtual training fits into your learning strategy.